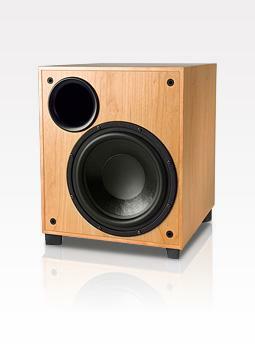 The Seismix 3 incorporates a new in-house designed 275mm driver, developed for high level low frequency reinforcement. Geometry enhancements within the magnet structure has seen linear cone travel has increase by a massive 30% with superior driver control. Musicality has not been overlooked at the expense of sheer low frequency output, with the Seismix 3 able to deliver all the subtleties of a jazz quartet to a classical masterpiece. Get a deep bass experience with the Seismix 3. Explosions and crashes are a breeze for the Seismix. We were not only physically massaged by the power of ?Star Trek? deep space explosions but we were just as impressed with the depth at which the effects punched through. And the sensation of bass wallop is enhanced by the sub?s tremendous control and grip of all low-end output; this is the kind of subwoofer that doesn?t trade bass tightness for depth, as is sometimes the case. Bass and midrange Nominal 275mm (11?) diameter doped paper cone driver, 50mm (2") voice coil wound on high powered Kapton former, with vented magnet assembly.